The Fast-Draw Mercantile Fast-Draw System has two major components. The Fast-Draw Timer unit, and a Target Impact Signal System, Indicator/Impact Sensor Box, the Fast-Draw Timer unit can control from one to four, (two pair) targets. 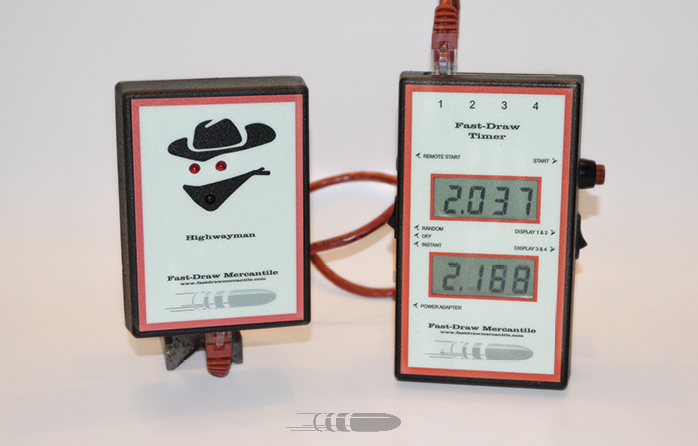 The Fast-Draw Mercantile Fast-Draw Timer will control any wax bullet impact target system, as long the target is modified to accept the Target Impact Signal System, Indicator/Impact Sensor Box. The Signal/Impact Sensor Box is attached to the target using industrial grade Velcro. An Ethernet is supplied to attach the Fast-Draw Timer to Target Impact Signal System, Signal/Impact Sensor Box. 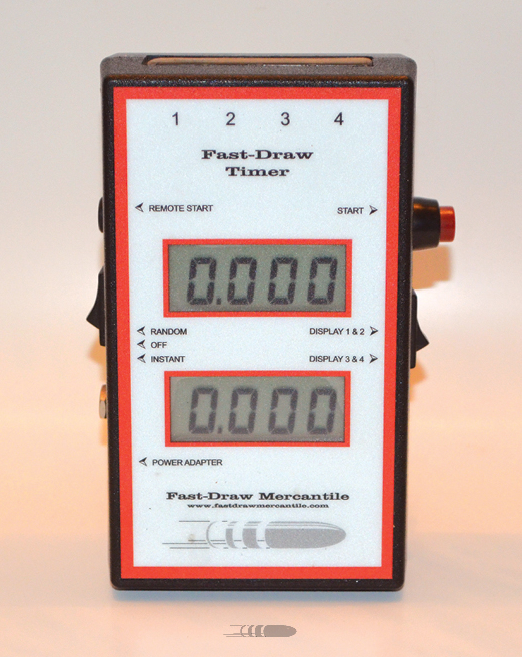 The Fast-Draw Timer box has two default modes, Practice and Contest. Each of these modes can be operated in a Random, Time Delay, or Instant Start. The Fast-Draw Timer is powered by an internal 9v battery (supplied), or a 12VDC, 120VAC AC/DC adapter.